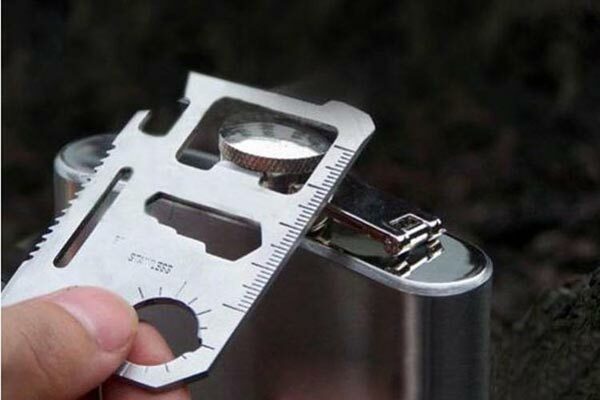 Small and light weight, easier to bring it for outdoor application. 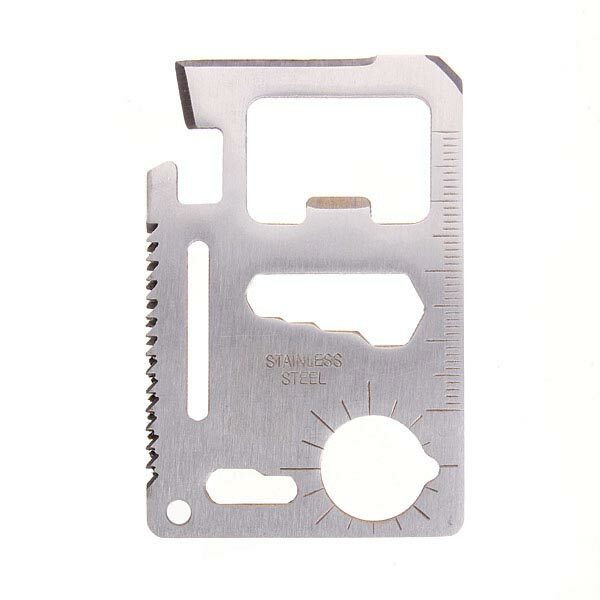 A combination of multiple use, safe and convenient for wilderness survival. 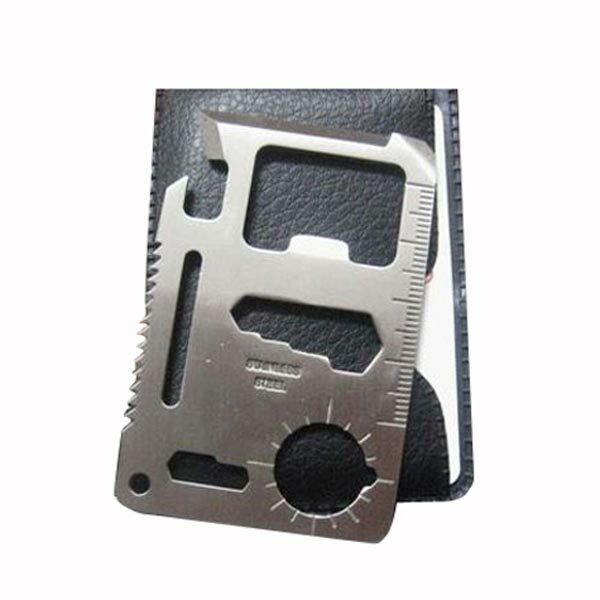 Perfect outdoor camping card, can be used as a tool to solve many problems of life. 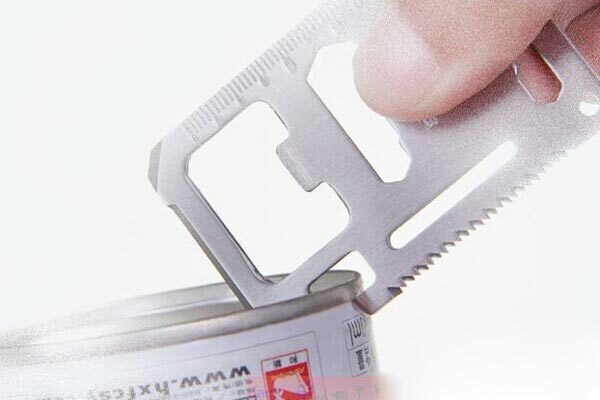 Can opener: easily open the tin. 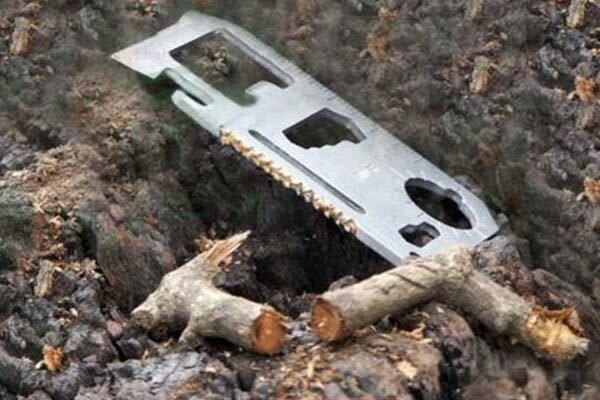 Knife: sharp blade, easy to cut ropes even fruits. 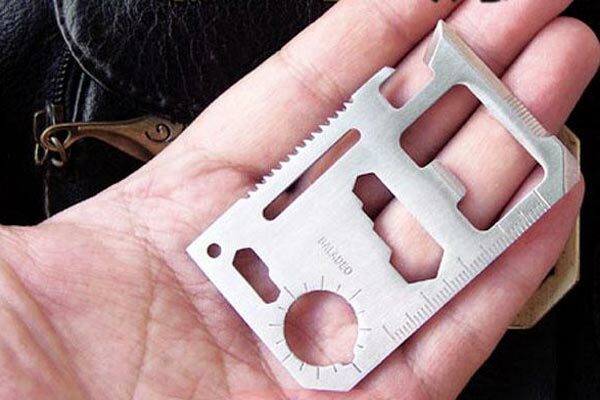 Screwdriver: flathead screwdriver, suitable for screwing up and down different types of screws. 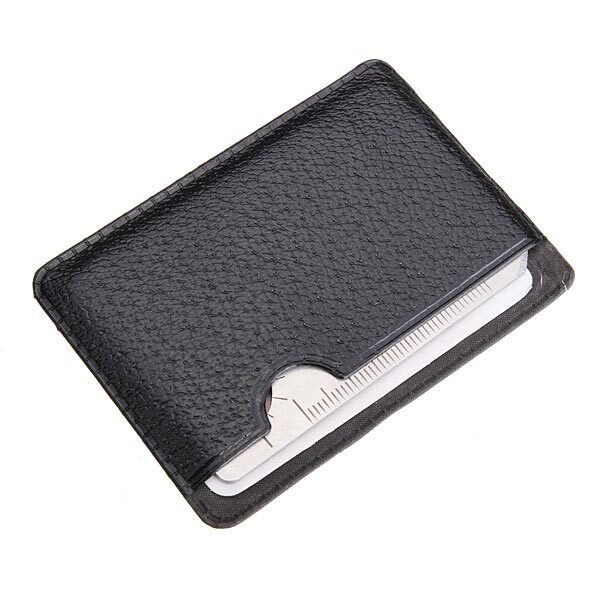 Ruler: the metric scale, used for measuring the distance within 3cm. 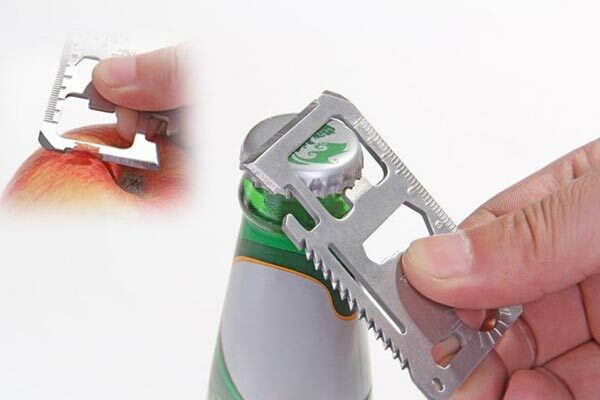 Bottle opener: suitable for opening beer, beverage and other bottle caps. Positioning hex wrench: suitable for daily use of turning bolts and the nuts. 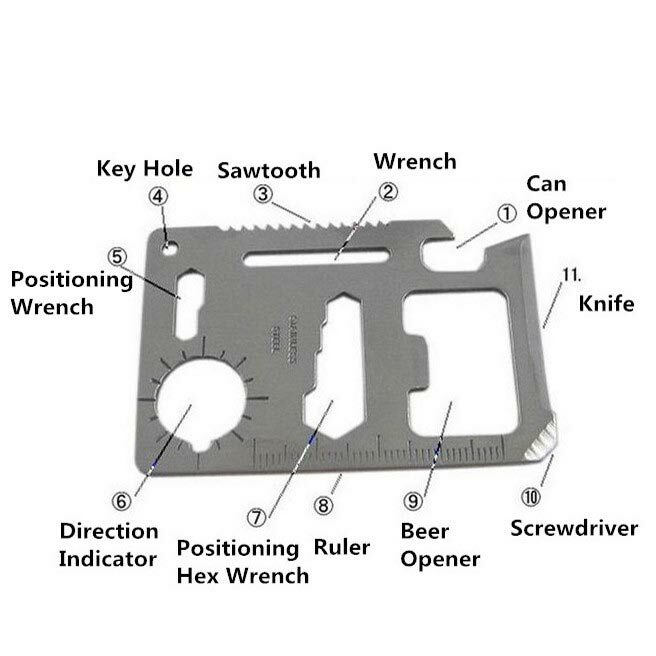 Live wrench: long strip hollow-out groove, can turn different types of products’ turnbuckle. Direction instructions: accurate directions positioning.